Jake Humphrey presents Premier League Football on BT Sport. As a broadcaster, Jake was the youngest ever presenter to host the hat-trick of BBC Sport programmes – Football Focus, Match of the Day and Final Score. Bewteen 2009 and 2012 Jake presented BBC Sport’s coverage of Formula One. Other presenting highlights for Jake include the 2008 Olympics from Beijing, Euro 2008, a trip to India for Sport Relief, the Commonwealth Games in Melbourne and co-hosting the BBC Sports Personality of the Year with Sue Barker and Gary Lineker. 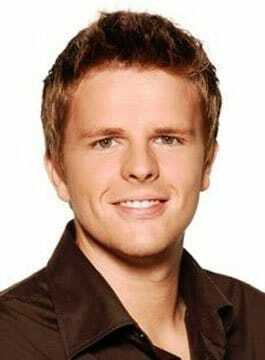 Jake Humphrey began his broadcasting career as a runner for Norwich-based Rapture TV. He went on to become a researcher and ended up presenting by accident. He was advised to make a showreel and this eventually led to him hosting a live, daily, sports show for TWI. He joined CBBC and enjoyed six extremely successful years, presenting live links and a number of popular shows. Jake’s interests include writing, reading autobiographies and travelling. He also loves cars and supports his much beloved Norwich City. Jake Humphrey is available for Conference Presenting and Awards Hosting.